As a renowned facial cosmetic surgeon with precision artistry, Dr. Amiya Prasad’s approach to facelifts, mini facelifts, and all other cosmetic procedures is to maintain the unique facial characteristics of the individual so they still look like themselves, but about 10 years younger. He has dedicated his career to performing full, extensive facelift surgery for the best results possible, but with quicker recovery techniques such as using local anesthesia with LITE™ intravenous (IV) sedation. 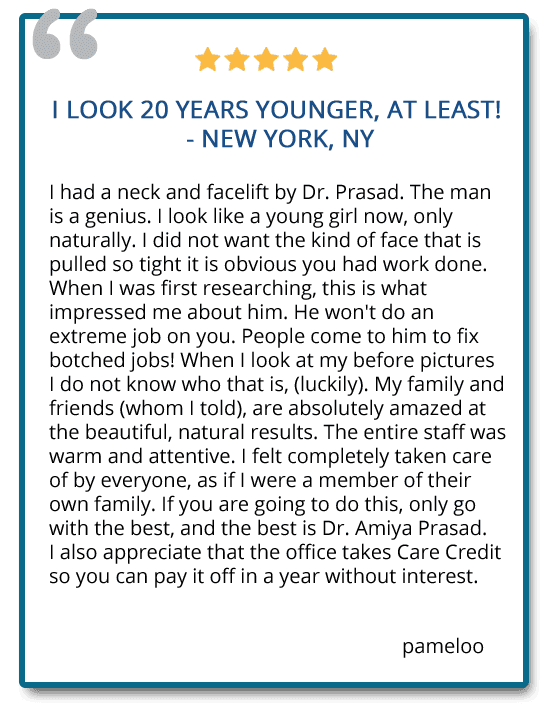 In Dr. Prasad’s experience, when a facelift is done well, a person will get a lot of comments about how great they look, but not get any comments about having had cosmetic surgery. A full facial analysis with Dr. Prasad will help determine the specific procedures you may need to achieve your renewed look that complements, not changes, your unique facial character, and realizes your aesthetic goals. To set up a consultation with Oculofacial plastic surgeon Dr. Amiya Prasad, you may contact us by phone or email. Our offices with full surgical suites are located in Manhattan, New York City, NY and Garden City, Long Island, NY. We welcome patients from all over the world for aesthetic facial rejuvenation. Dr. Prasad’s facelift style is about retaining unique facial characteristics, but looking natural and considerably younger. Celebrity tabloids revel in evaluating celebrity facelifts, often commenting on the quality of the facelift, and whether there is a drastic alteration to the appearance. This popular type of analysis and commentary raise some important questions. What is the goal of a facelift? Do people want a whole new face? Do they want to go from their sixties to their twenties in one fell swoop of the scalpel? It is important to understand the problems facelifts address to answer these questions. Facelift surgery, or a rhytidectomy, is a well-known procedure used to lift the sagging skin, muscle, and soft tissue of the face. Over the past century, the procedure of facelifting has undergone many changes. Techniques which were standard as far back as the late 1990s have been redeveloped to ensure safety and quicker recovery. Rhytidectomy includes different types of procedures that lift and tighten the sagging skin and deeper tissues (SMAS – superficial musculoaponeurotic system) in the cheek, jawline, and neck area. Different procedure terminology can be confusing. During Dr. Amiya Prasad’s years of training as an Oculoplastic surgeon, and as a cosmetic and reconstructive facial plastic surgeon, Dr. Prasad came to realize that “aging is less about lines and wrinkles and more about general deflation or overall facial volume loss”. Terms such as “deep plane facelift”, “SMAS facelift”, “high SMAS facelift” or mini face lift can result in confusion about which procedure is right for you. Today, most people do not wait until they look “old” before pursuing cosmetic surgery. They want to keep the face they have, but with an enhanced appearance that still looks natural. The goal is to look refreshed and youthful, while still retaining the unique characteristics of your face. Facelift surgery is now routinely performed under local anesthesia with LITE™ sedation as an outpatient procedure in our accredited operating rooms, and with significantly reduced downtime and quicker recovery. The mid-face has a certain amount of fat that gives volume to the face, and brings the youthful suppleness that distinguishes a 20-year-old face from a 40-year-old face, even if the person has no other signs of aging. When the fat found in the middle of one’s face begins to disintegrate, the shape and contour of the face changes – it becomes saggy and wrinkled due to the loss in volume. The facial fat pad located under the eye socket (orbit) changes shape, and gets smaller or moves to a new position. 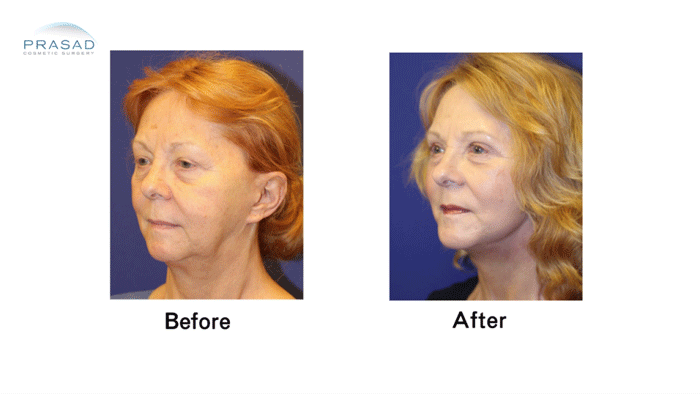 Mid-face implants can make a very dramatic difference in a person’s appearance. Usually, this procedure is performed along with a facelift or eyelift but it can certainly be performed on its own. Although aging is inevitable, having facelift surgery can improve your appearance so you can look 10-15 years younger. An artistically performed facelift can boost your self-esteem and confidence both socially and professionally. The goal of Dr. Prasad’s facelift is to lift sagging skin and tissue to create definition in the lower and mid face – young faces are not tight, but well-defined with youthful volume. Restore sagging or loose skin of the face or neck, resulting in improvement in the jawline and neck definition. Tighten the facial structure under the skin through the musculature and soft tissue. Improve the contour of the face. The most important thing to remember is every facelift needs to be customized to the individual. 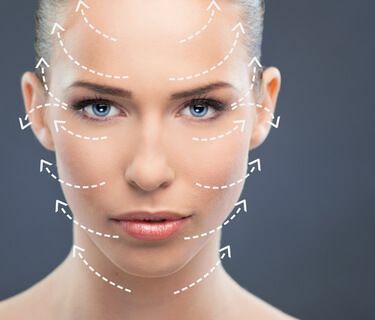 Every approach to a facelift procedure must be individualized to properly address each unique concern a patient has, and to yield the best results possible. Factors such as bone structure, looseness and elasticity of skin, ethnic/racial background, and state of health are all important to determine the type of facelift to be performed, and the extent of surgery needed. Not only will these factors have an effect on the success of the procedure, but also impact the longevity of the procedure. The best practice to protect your investment in a facelift is to do what you would ordinarily do to maintain good skin health, even if you decide not to get surgery: get plenty of sleep, stay out of the sun, exercise regularly, and eat healthily. The facelift incisions that Oculoplastic surgeon Dr. Amiya Prasad executes are much smaller than standard facelift procedures of the past. Another very important difference is the level of anesthesia used and the downtime necessary. For most face lift procedures, Dr. Prasad uses local anesthesia with IV sedation, which reduces the downtime to 4-7 days. 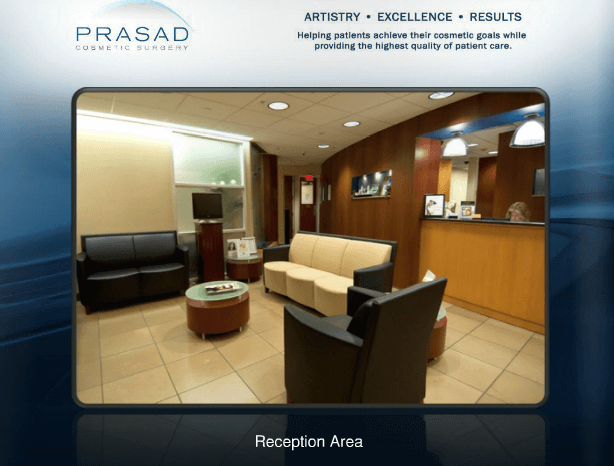 Procedures are performed in Dr. Prasad’s Joint Commission-accredited, state-of-the-art operating suites within the Manhattan and Garden City locations. The short scar incision starts where the ear attaches to the face at the top, then extends along the inner edge of this connection, then finally swings around and behind the earlobe. 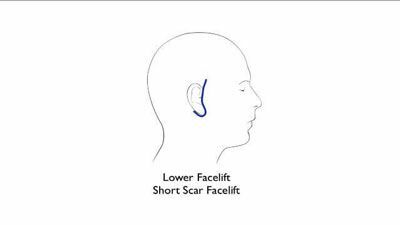 The short scar facelift is ideal for younger patients, generally in their 40s to 50s, or in some case for people experiencing premature aging challenges who want to lift their mid-face, but still don’t need extensive lifting in the face and neck. Even though this scar is larger than the short scar procedure, they are generally not visible and tend to heal very well. Dr. Prasad also uses extracellular matrix (ECM) for advanced wound healing to further diminish any visible signs of the facelift incision, which if often combined with laser treatment and platelet-rich plasma (PRP). The face and neck lift is recommended for older patients who need more extensive lifting of the skin and soft tissue. The incision is larger though still located in front and behind the ear. 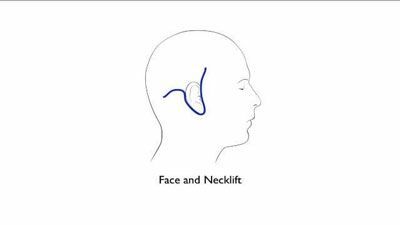 While all facelift incisions also lift the neck, this longer incision lifts the neck and underlying tissues more extensively for the benefit of older patients. The term “SMAS” is an acronym for “Superficial Musculo Aponeurotic System”. This is commonly referred to as “the muscle” which needs to be tightened. Another way to think of it is as a foundation for the skin to provide the structure needed for the skin to be properly redraped. The term “facelift” refers to the surgical lifting of sagging SMAS and skin from the upper cheek area to the jawline and part of the neck. 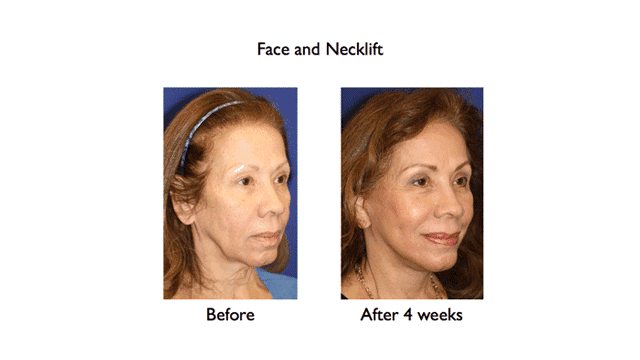 Is a facelift the same as a necklift? No. The term “neck lift” refers to surgery to define the area from the jawline to the middle part of the neck, also referred as “lower facelift”.When the muscle under the neck called “the platysma” is weak or separated, a procedure called a “platysmaplasty” or “corset platysmaplasty” is performed to help restore the contour under the chin. 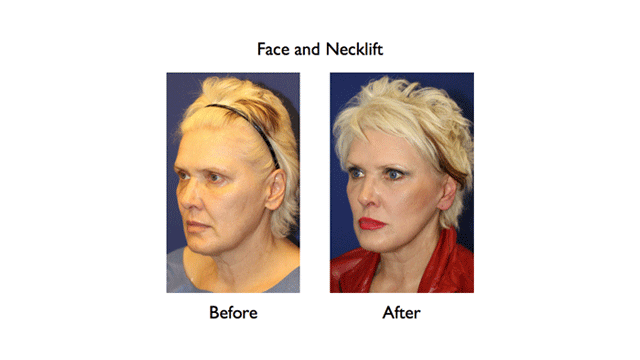 Often a face lift procedure is a combination of facelift and necklift. The incisions are made from the temple area to behind the ear so the face and neck can be lifted effectively. Dr. Prasad’s facelifts include the SMAS and the space below the SMAS, often referred to as the deep-plane facelift. Tightening the SMAS and the platysma for a deep plane facelift are often necessary to achieve better and longer lasting results. The Deep Plane Facelift tightens the soft tissue of the SMAS more, as well as lifts the sagging neck, which is appropriate for older patients, and for longer lasting results. Less extensive procedures where the neck doesn’t require extensive lifting can be done with a shorter incision, referred to as a short scar facelift, also known as mini face lift. Short scar facelifts are appropriate for people who want to lift a sagging jawline, but don’t have skin, deep tissue or muscle laxity at the neck. The Short Scar facelift is ideal for people who want to address limited sagging of the face and tissues, but are too young for extensive lifting procedure. An isolated or limited neck lift can be performed where the muscular bands, or platysmal bands, at the neck are addressed by a procedure called a platysmaplasty and/or submentoplasty. The procedure aims at raising the loose skin from the jawline to the lower part of the neck. Different methods can be used for a neck lift. This can be done with a facelift procedure, but can be performed separately as well . A platysmaplasty addresses visible platysmal bands in the neck area by removing or tightening the platysmal bands for a smoother contour of the neck. The deep-plane facelift refers to a procedure that goes into a deeper layer beneath the skin and beneath the SMAS. Performing a facelift from this deep tissue area often results in a longer lasting facelift. While some cosmetic surgeons claim exclusivity and expertise with the deep-plane facelift, it is actually a well established technique practiced by experienced cosmetic surgeons who perform all types of facial surgeries. In contrast to many cosmetic surgeons performing the deep-plane facelift using general anesthesia, Oculoplastic surgeon Dr. Amiya Prasad performs the deep-plane facelift using local anesthesia with his sedation method called LITE™ IV sedation. 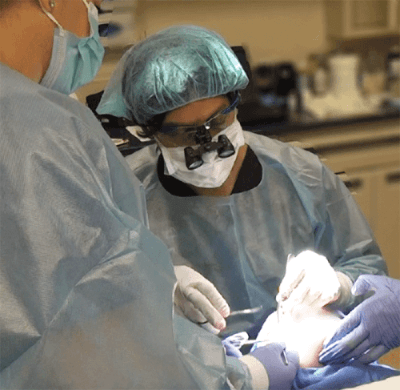 This approach makes the surgical experience much easier on patients when compared to general anesthesia. Dr. Prasad has observed faster healing process, and greater ease in recovery in using local anesthesia for facelift surgery. Dr. Prasad takes every patient’s comfort, safety, and results with each facelift procedure, which is why he does them with local anesthesia so patients avoid the nausea and extended recovery of general anesthesia, and don’t require an overnight stay to recover. People considering facelift surgery search tirelessly to find “the best”. Several “top doctors” and “best doctors” directories are advertisements and manipulated by the selection process and ballot stuffing. Certain professional organizations will claim their Board-certified doctors are superior to other doctor with certifications from competing organizations. As stated by the American Board of Medical Specialties (ABMS), “there is no certification that guarantees performance or outcomes”. Choosing your surgeon requires more than knowing that the surgeon passed an exam. In fact, no Board certification measures a surgeon’s’ artistry, technical skills, and ethics. Does the surgeon spend more than a few minutes with you? Have you seen the surgeon’s own before and after photos? 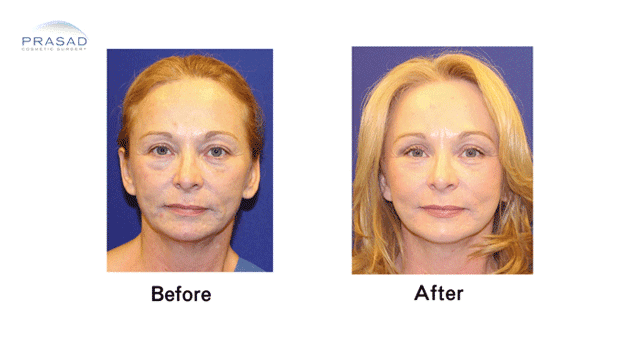 Do you know that facelift surgery can be performed without general anesthesia? What is your impression as to the sincerity of the staff and their enthusiasm for the surgeon’s face lift results? 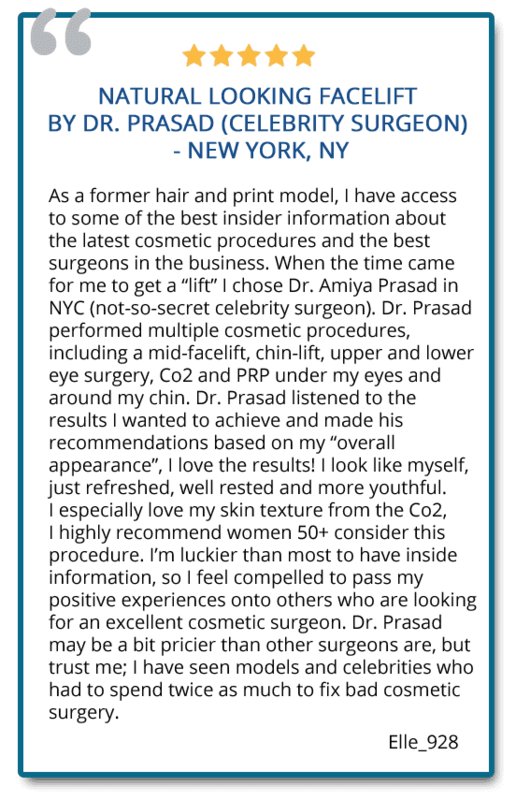 Dr. Amiya Prasad is a “super-specialist” Oculofacial Cosmetic Surgeon and is a Diplomate of the American Board of Cosmetic Surgery (Board-certified). 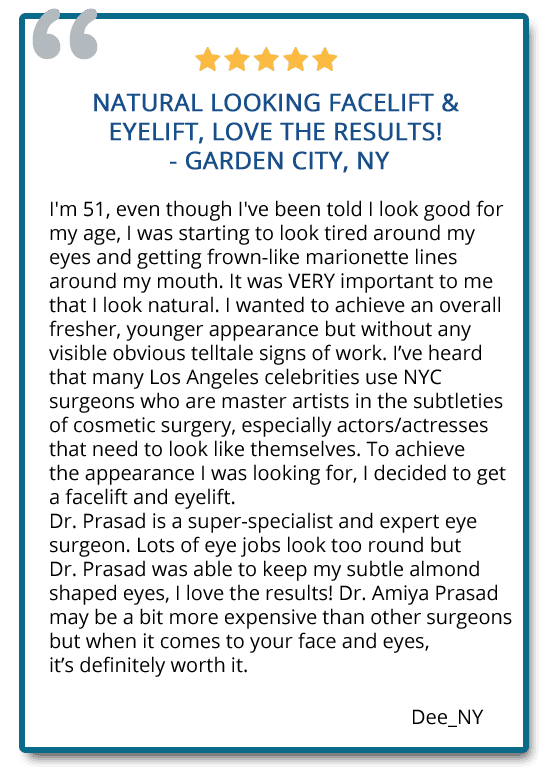 Dr. Prasad has established his exceptional position as a leader in Facial Rejuvenation surgery, including eyelid and facelift surgery by being a clinical instructor in facelifting surgery as well authoring his highly regarded book, “The Fine Art of Looking Younger”. Facelifts are done at Dr. Prasad’s full, Joint Commission-certified surgical suites at Manhattan, and Garden City, Long Island, to provide patients more personalized comfort than a hospital or surgery center. 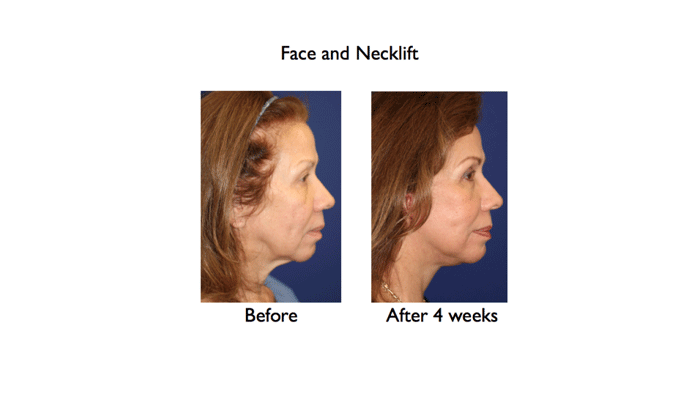 Why choose the Quick Recovery Facelift? For patients who seek a better alternative to other face lifting procedures available, the Quick Recovery Facelift has many advantages compared to a traditional face lift. The Quick Recovery Facelift is performed under local LITE™ Anesthesia, which is safer than general anesthesia, and used for most facelift surgeries. 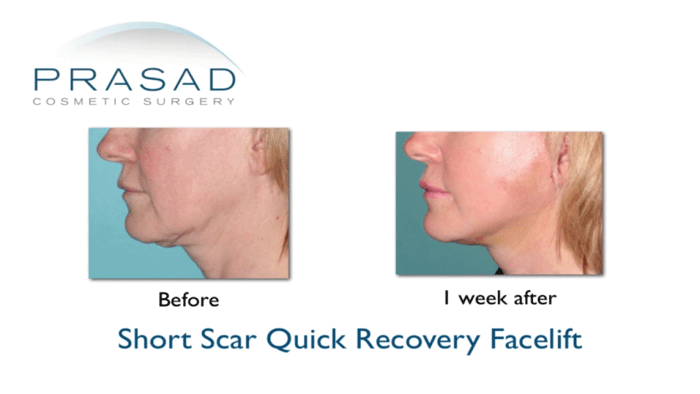 The Quick Recovery Facelift produces a shorter scar as the incision is a lot smaller and does not go to the temple. Because of the way the incision is made, hair loss is minimal (if any) and the sideburn is preserved. 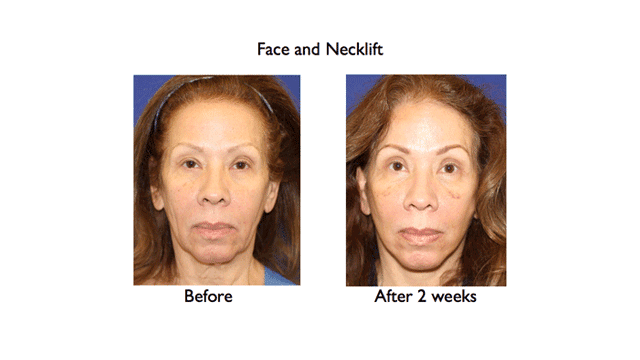 With the Quick Recovery Facelift, the patient goes home on the same day of surgery. A traditional facelift usually involves an overnight hospital stay with a private duty nurse. 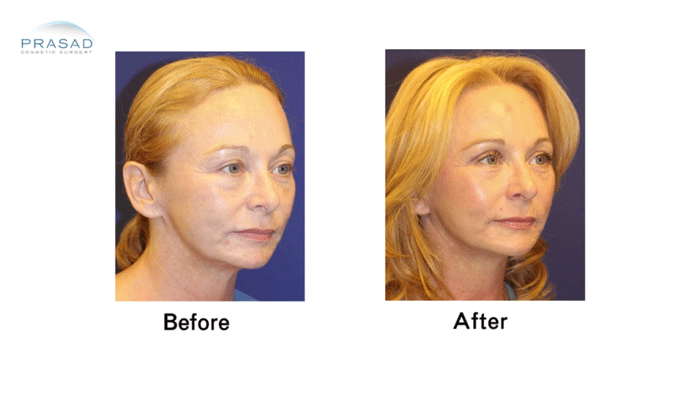 A traditional facelift can result in a slanted or pulled look. The Quick Recovery Facelift restores the natural relationships of the skin, tissue and muscles of the face, resulting in a natural, youthful appearance that will last long. Typically performed in hospital or operating room with overnight stay. Performed in a hospital or operating room with an overnight stay. Performed in state of the art office suites. Go home about 1 hours after the procedure. Large bandage over face that need to be changed periodically. Drains left in for the first few days. Large bandages on the head and neck until the day after surgery. Small bandage and antibiotic ointment. Drains not necessary. Comes off in under a week. Dr. Amiya Prasad is a Board-certified cosmetic oculofacial plastic and reconstructive surgeon, specializing in the eyes and face. He has been practicing for over 20 years, and is a member of the American Society of Plastic and Reconstructive Surgery. 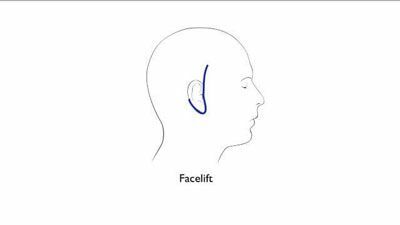 The MACS (minimal access cranial suspension) facelift was a popular choice in the mid 2000’s because it promised limited invasiveness and a short access scar, which would result in faster healing. A short scar unfortunately limits how much the neck can be addressed. Many people who have the MACS or other “short scar” facelifts feel over tightened and still have significant loose neck skin. The goal of a facelift or face and necklift is to improve the appearance of the jawline and neck and create a natural appearance which is long lasting. Dr. Prasad’s customizes his face and neck lift procedures so the client gets the best results that go with traditional surgery, but with the benefits of a shorter recovery time seen with procedures such as the MACS lift. Even a full face and neck lift can be done with added procedures to maximize recovery time and minimize time spent in the operating room – this lady had her an eye lift, chin lift, and volume augmentation done at the same time as her full face and neck lift. 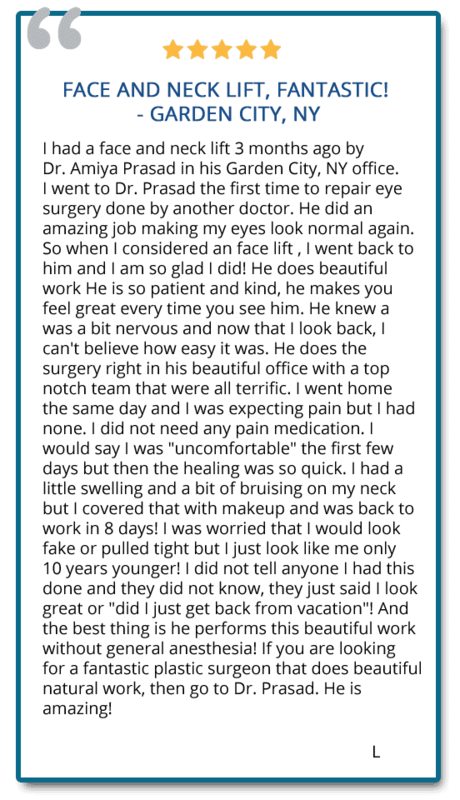 Dr. Prasad performs a technically more “involved” facelift because it involves multiple layers of the face. In addition, a facelift which involves more than just the skin lasts longer. Once the skin has been cut and has been separated from the deeper tissues, the heavy lifting part of the procedure begins. The deeper tissues are a bundle of muscle and connective tissue and other materials called the SMAS, or the sub musculoaponeurotic system. This muscle bundle is lifted and will serve as the scaffolding upon which the rest of the lift will depend. If necessary, liposuction is performed around the chin, neck and jowls. The last step is to lift the skin over the new facial muscular structure and then remove excess skin as necessary. This type of multilayer facelift is most likely to yield a more natural appearing face. Remember, the best facelift is the one that leaves people wondering why you look great but with absolutely no idea that you got a procedure. The Quick Recovery Facelift was designed by Oculoplastic surgeon Dr. Amiya Prasad for the person with a busy modern lifestyle. 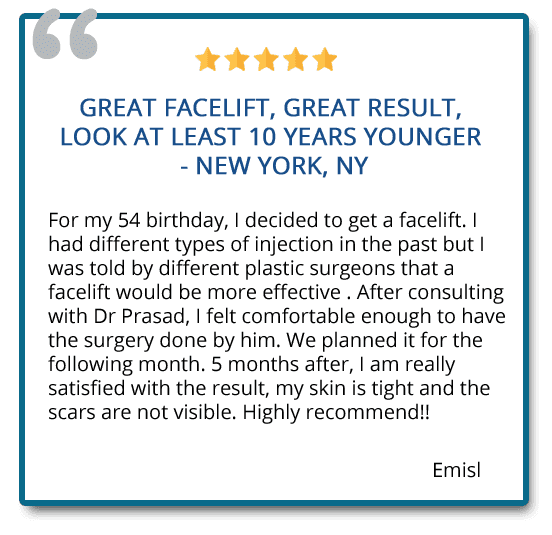 After some time, Dr. Prasad found that patients who sought a face lift had hesitance because they didn’t want to appear unnatural or show obvious signs of surgery. Patients also did not want the long period of recovery, but also did not want an ineffective “short cut” procedure. 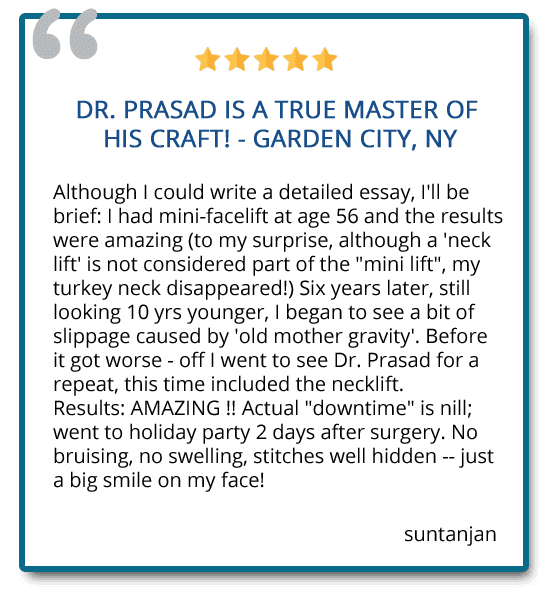 Dr. Prasad’s Quick Recovery Facelift was developed to provide his patients with minimal risk, maximum gain, and quick recovery. Performed under local anesthesia and LITE™ sedation, the Quick Recovery Facelift is a 2 to 3 hour procedure. An incision is made typically in between ear and face, and slightly around the earlobe through which the surgery is performed. The patient will be able to return home about 1 hour after the procedure, with only a small bandage and antibiotic ointment. Recovery time is about 1 week. Facial aging, which is a combination of volume loss and descent, varies from person to person depending on their genetics, skin type, and environmental factors such as stress or sun exposure. 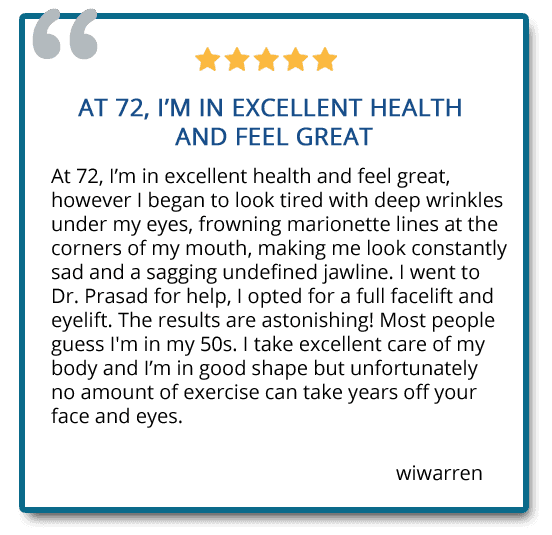 We had patients from age 37 having a short scar facelift, up to 87-years-old. Some patients might be able to reach their aesthetic goals with a less invasive procedure, such as a chemical peel, microdermabrasion, or the Micro Fractional CO2 Laser Treatment. Some people in their 40s to 50s may have no or limited skin laxity, but are losing facial volume can opt for the Y Lift®/ structural volumizing. This specialized procedure places fillers at deeper level than traditional filler application, for stronger support at the bone level,versus dermal/soft tissue placement where only limited amount can be placed before looking doughy. Structural volumizing at the stronger bone and muscle level also significantly lifts skin and soft tissue without surgery. Patients who understand both the possibilities and limitations of facelifting tend to be happier with the results that can be achieved by a facelift. A proper consultation with Dr. Prasad will help determine if you are a candidate for a facelift surgery, volume augmentation, or another procedure more appropriate for their unique needs and time of life. Using local anesthesia with LITE™ IV sedation enables patients to recovery quickly from even extensive deep plane face and neck lifts, and enjoy the results of their refreshed, younger look faster with minimal recovery time, and long-lasting results. Dr. Amiya Prasad performs all facelift procedures under his own approach using local anesthesia with LITE™ IV sedation for his patients;a great advantage for busy people who want to improve their appearance and confidence without having to take weeks to recover. Generally associated with more swelling and bruising from events such as severe coughing spells after tube is removed from the throat. By using his Quick Recovery method for facelifts, Dr. Prasad’s patients are able to return to their normal lifestyle faster than the more common facelifts performed under general anesthesia. The recovery time for most patients is about 1 week, with overall less downtime than traditional face lift methods. Patients generally feel good afterwards and rarely have any significant discomfort. 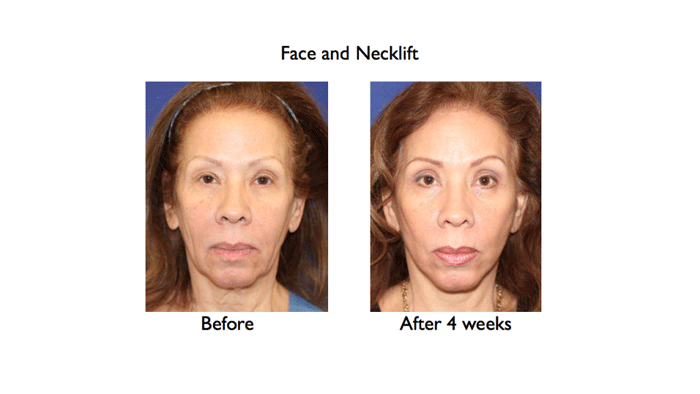 Typically, our patients return to work in about a week after facelift surgery. The typical bruising and swelling associated with our facelifts is minimal and our patients are often surprised about having no significant pain or discomfort. 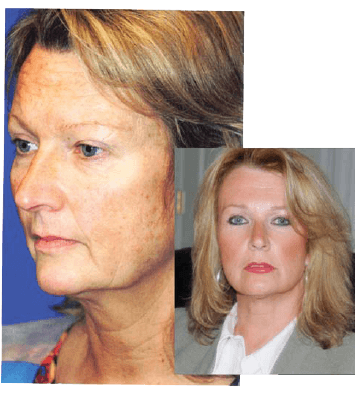 Facelift surgery has risks typical of any surgical procedure, including bleeding, infection, and undesirable results. During your consultation, Dr. Prasad will review the risks and benefits of facelift surgery with you. 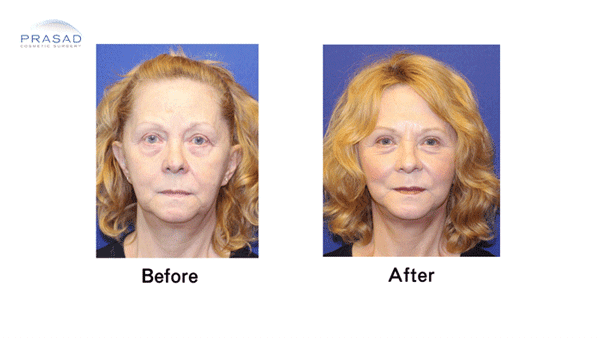 Follow up care is a very important part of the long-term benefits of facelift surgery. We see our patients on a specific schedule after surgery for about 1 year. We have an open door policy with our patients, so they are welcome to come in as often as they need to address any concerns. During follow up visits, our patients are often so excited about their results they often ask about other procedures such as Hydrafacial, Restylane, Botox®/Dysport®, Radiesse, PRP and other services our office provides. 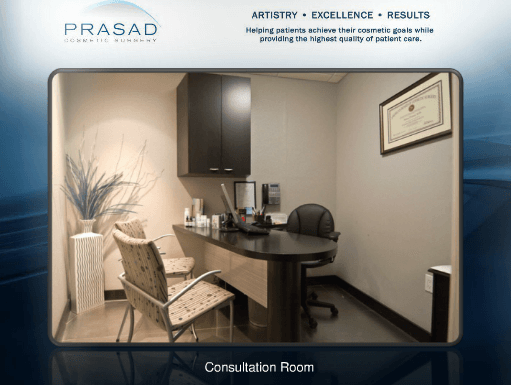 Dr. Prasad assures his patients of commitment and quality of his work with regular followups, and an open door policy for all his patients for any concerns. Can I do other procedures at the same time as a facelift? Yes. 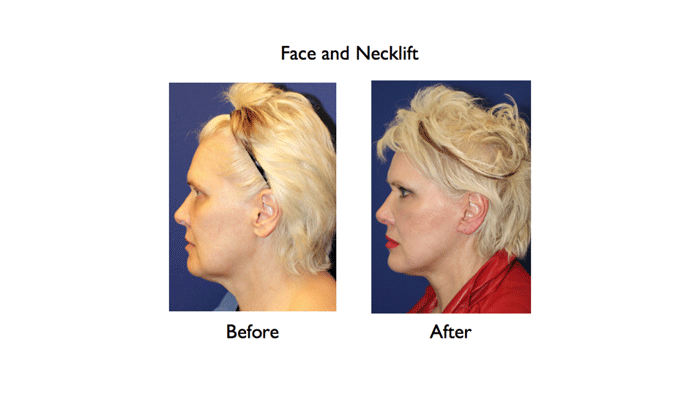 Our patients will often choose to combine their facelift with other procedures to help them look even better. Procedures such as cheek implants, chin implants as well as fractional CO2 laser can be done at the same time as a facelift. Surgical procedures to enhance the eyes and brows such as eyelifts, eye bags reduction, and eyebrow lift can be performed at the same time as a facelift. Can I have laser skin resurfacing at the same time as a facelift? Yes. Dr. Prasad uses the latest fully ablative and fractional CO2, erbium, and YAG lasers to improve the appearance of wrinkles, scars (such as acne), and discolorations (such as from sun damaged skin) while it smoothes and tightens the surface of the skin, and boosts collagen production. Facial aging involves sagging and descent of the skin, including volume loss from diminishing bone, muscle, fat and soft tissue of the face. Since the foundation of the skin is sagging, fillers often can appear unnatural when placed. The term “pillow face” has been used to describe many people who get “overfilled” because their skin is so loose. The facelift surgery restores the foundation of the face so additional weight and volume from fillers can be placed more strategically. A common issue people often confuse with facelifts to address the jowl area is the mandibular notch, which is located at the edge of the jaw. Volume is lost in this area with aging, and the skin tends to dip inward, leaving a notch in the jawline. This is treated with a placement of a facial filler like Radiesse can give a smooth, continuous contour to the jawline. 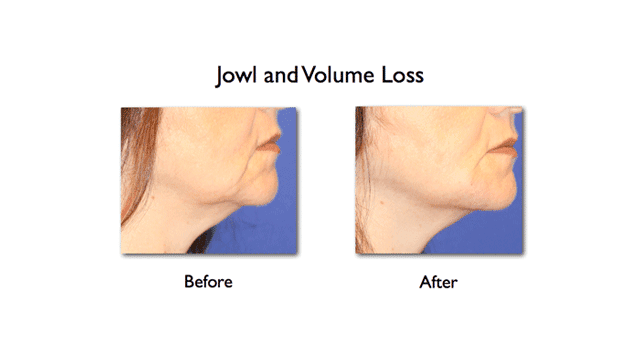 Some people choose to have a more long term solution such as a pre-jowl implants. It is important to understand that adding fillers to sagging skin and tissue can lead to unattractive or amorphous results, colloquially referred to as “pillow faces”. If you desire to look better before having your facelift, Dr. Prasad will place the facial fillers in an artistic way so the face looks more structured and balanced. The facelifting procedure can accompany other procedures, such as a neck lift, an eyebrow lift or eyelid lift, or a fractionated or fully ablative laser. A neck lift raises the loose skin from the jawline to the lower part of the neck. Although a facelift does not include lifting of the eyebrows or eyelids, it can be accomplished by having an eyelift or brow lift done at the same time. An eyelid rejuvenation technique can complement the facelift by achieving a desired shape and balance to the face. Depending on skin type and depth of treatment, a particular laser can also help achieve remarkable results when combined, with little downtime. The heat and laser technologies diminish the appearance of wrinkles, scars (such as acne scars), and discoloration (such as from sun damaged skin) while it smooths and tightens the surface of one’s skin, and boosts collagen production for up to six months. Patient comfort and attentiveness are provided in Prasad Cosmetic Surgery and Medi Spa in our Manhattan, and Garden Cty locations. 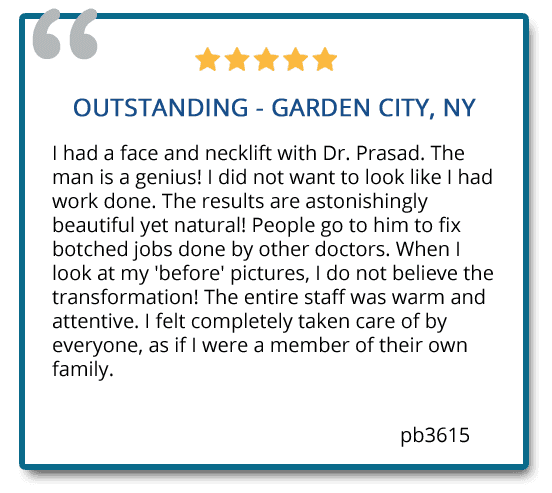 Prasad Cosmetic Surgery has two locations in New York where we can perform facelifts in our own surgical facilities: Manhattan and Garden City, Long Island. Our facilities are Joint Commission Certified, and designed for your safety, comfort and convenience. How much is a facelift cost? The term refers to a range of procedure, full facelift, short scar facelift and/or neck lift. It is also often associated with volume enhancement methods with fillers or eyelift surgery to remove eye bags if necessary. The cost is determined individually, depending on the extent and type of facelift procedure, and accompanying procedures. Insurance does not cover any costs related to facelift or any cosmetic surgery. Contact our patient coordinator to arrange your consultation. Are there any facelift alternatives? Many “revolutionary” procedures and devices claim to be produce facelift results without surgery. They do not. Clever (and expensive) marketing combined with manipulated photos and persuasive testimonials have resulted in many people wasting money time and even be worse off than when they started. The latest laser and heating devices can tighten skin, but exceeding a safe amount of exposure to the skin in attempt to replace surgical lifting can damage and thin the skin, and also compromise the health of the essential fat layer beneath the skin responsible for youthful suppleness. We do offer the Vampire Facelift® and the Y Lift®, but these procedures do not replace surgical facelifting. The Vampire Facelift® using a hyaluronic acid filler and platelet-rich plasma (PRP) does have a moderate outward lifting effect, but it still meant for patients in their 30s and 40s who are not yet candidates for a surgical facelift. The procedure is more of subtle volume enhancement and skin quality improvement. The Y Lift® is a deep volume enhancing procedure, where the placement of cosmetic fillers on bone and underneath the muscle lifts skin away from bone structure, but it does not vertically lift skin, or tighten soft tissue. The Y Lift® is also a procedure meant for people who are still too young to be candidates for a facelift as skin and soft tissue laxity is not yet their major issue, but volume loss is their primary concern. Can I do something before I schedule my facelift? Yes. With the understanding that a non-surgical procedure does not replace a properly performed facelift, Dr. Prasad will customize a solution which can help you look better. Some of these non-invasive procedures include the Vampire Facelift®, the Y Lift®, facial fillers such as Restylane, Juvederm, and Radiesse, and wrinkle treatments like Botox® or Dysport®. 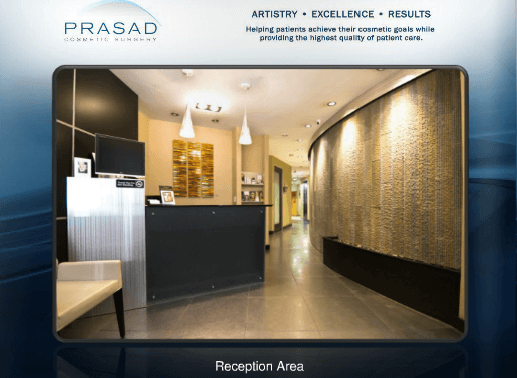 During consultation, Dr. Prasad will help guide you with the options best suited for you.